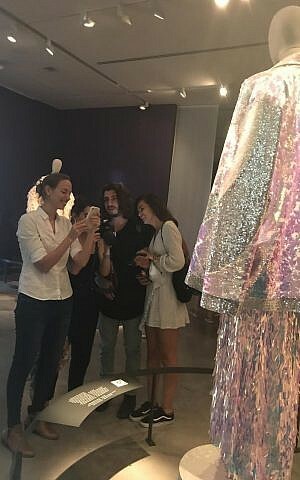 The fashion exhibition at the Israel Museum is reviving a century-old costume through an app that allows users to virtually experiment with items in the gallery. Zeekit, a Tel Aviv-based company founded in 2013 by Yael Vizel, Alon Kristal and Nir Appleboim, has developed an online shopping app where users can see how the various garments look on them. The user takes a picture of himself and once it is processed by the application, it takes about five minutes, they can “try on” the clothing options and see how they look. If they like how a piece of clothing looks on the image, they can buy it through the app. On Tuesday, Zeekit installed new technology at the Decoding Israel Dress exhibition at the Israel Museum in Jerusalem. 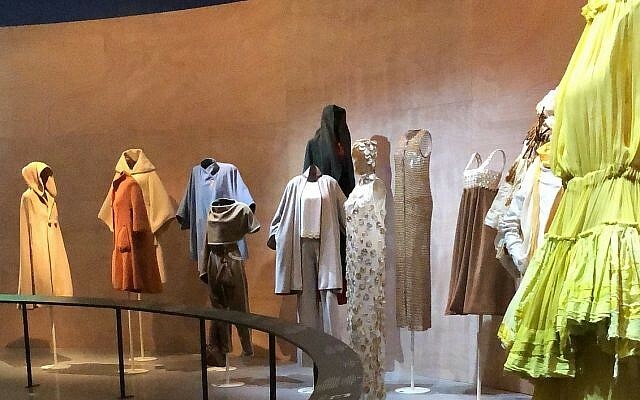 The “Decoding Israeli Costumes” exhibition explores how a century of Israeli fashion has been influenced by religious, lands and historical environments. It will be open until April 29, 2019. In front of the exhibition, posters on the wall tell visitors to download Zeekit to their mobile phones and take photos of themselves. Then in each section, the QR code can be scanned to show how any of the garments in that section will see them. Virtual dressing technology works in a similar manner. The application “maps the terrain of the user’s body” essentially by taking each segment of the user’s image and calculating how each segment looks in 3D. The same treatment is applied to the laundry. 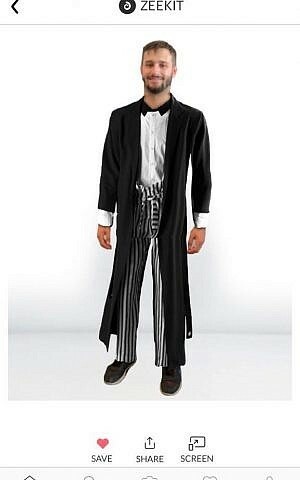 Then, according to the Zeekit website, these clothes are matched to the equivalent portion of the user’s body and sized according to the size of the user. “The inspiration we see from the human body is like a topographic map,” Vezel said. Outside the Israel Museum, Zeekit works with major brands such as Amazon, H&M and Nordstrom, and users can choose from a variety of clothing options when purchasing an app. Vizel said the company is committed to “completely changing e-commerce” because users don’t have to return to the clothing they order online, and when they try it out, they don’t look right. Apparel companies around the world have begun to use the technology for other purposes. For example, ASOS uses Zeekit to save the cost and effort of taking photos. 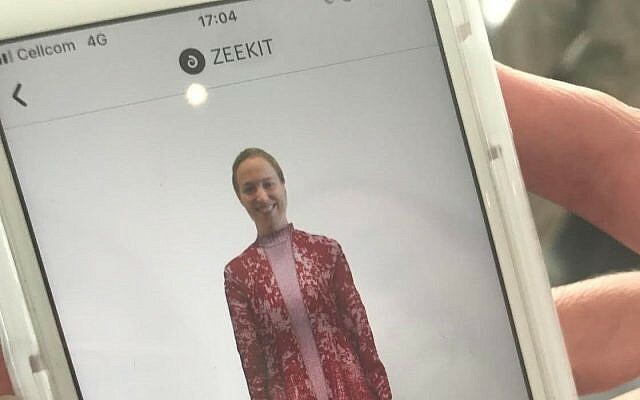 “Catalogues and retailers don’t have to take photos of all their clothing items,” Vizel explained, because they can send photos of these items to Zeekit, and the company can virtually wear models. “You see a lot of photos of the models wearing clothes, they are actually just models wearing underwear, and we dress them up,” Vizel added. Vizel, Kristal and Appleboim are very excited about adapting the technology to the needs of the museum. “When the museum presented us with the idea of ​​integrating AR (Augmented Reality) technology into the exhibition, we thought it was a good idea because it really connected the present, the past and the future. You can see yourself – now, here – Almost dressed up for items that represent 40 or 60 or 100 years ago. This future technology was developed in Israel. So everything including technology represents a road map for Israeli fashion,” Wiesel said.